Scotland’s tenant farmers have called upon the Scottish Government to establish an interim Tenant Farming Commissioner as a matter of priority to supervise and manage the transition period before reforms to tenancy legislation become law in a couple of years time. The Government has said it will implement most of the recommendations contained in the Agricultural Holdings Legislation Review report, including the creation of a Tenant Farming Commissioner, before the end of this parliamentary session in May 2016, and STFA would like to ensure measures are put in place to forestall any attempts to circumvent forthcoming changes to tenancy law. Speaking after the STFA AGM in Perth last week, Chairman Christopher Nicholson said: “There is general agreement that an office of Tenant Farming Commissioner linked to a Lands Commission should be created and STFA is firmly of the opinion that the Commissioner should be equipped with statutory powers. However, it will take a year or two to establish the office of a Commissioner and STFA is concerned that some landlords will attempt to take evasive action in advance of changes to the law. “We believe that a temporary Tenant Farming Commissioner must be put in place as soon as possible to keep a watchful eye on what is going on. The industry has already agreed an initiative to exert some control over rent increases but this must be backed up by a more visible and transparent body to monitor behaviour in the sector and to act as interface in relationships between landlords and tenants. “In particular, there are vulnerable groups of tenants who will need protection, such as the remaining 400 or so tenants in Limited Partnership tenancies whose tenancies can be brought to an end at the drop of a hat. The AHLRG report has done little to secure their future beyond recommending an industry “Joint Initiative” to set out guidelines for conversion to a modern LDT. This is unsatisfactory and Cab Sec Richard Lochhead has now been urged by Limited Partnership tenants to revisit the issue and develop a more robust way of giving these tenants greater security. “After all it should be remembered that Limited Partnership tenants are yesterday’s new entrants and most will be approaching middle age with well capitalised and profitable businesses and many will have families who are also looking towards careers in agriculture. This group of tenants represents a wealth of talent and expertise which should not be lost to Scottish agriculture and strenuous efforts must be made to either extend their tenancies or to make provisions for them to buy their way into secure tenancies being vacated by retiring tenants. “STFA will be pressing the Scottish government to re-examine assignation proposals to provide a secure future for these tenants and their families. Consideration must be given to allow the assignation of 1991 tenancies, or to extend the minimum term of converted LDTs from 35 to at least 75 years to provide the necessary confidence to invest in and grow businesses. “Long term security of tenure will ultimately benefit the land, increase its capital worth for the landowner and importantly, be good for the long term future of Scottish agriculture and its burgeoning food and drink industry”. The Scottish Tenant Farmers Association has welcomed the commitment made by Cabinet Secretary Richard Lochhead to find solutions to ease the plight of Small Landholding tenants. Addressing the AGM of the STFA, the Cabinet Secretary announced that the Scottish Government would be investigating the extent of small landholdings in Scotland and what solutions can be found to bring them in to the 21st Century. Responding to the Cabinet Secretary’s announcement, STFA spokesman, Angus McCall said; “STFA has been pressing the government for some time now to address the difficulties faced by small landholders who are still governed by century old legislation dating from 1911. 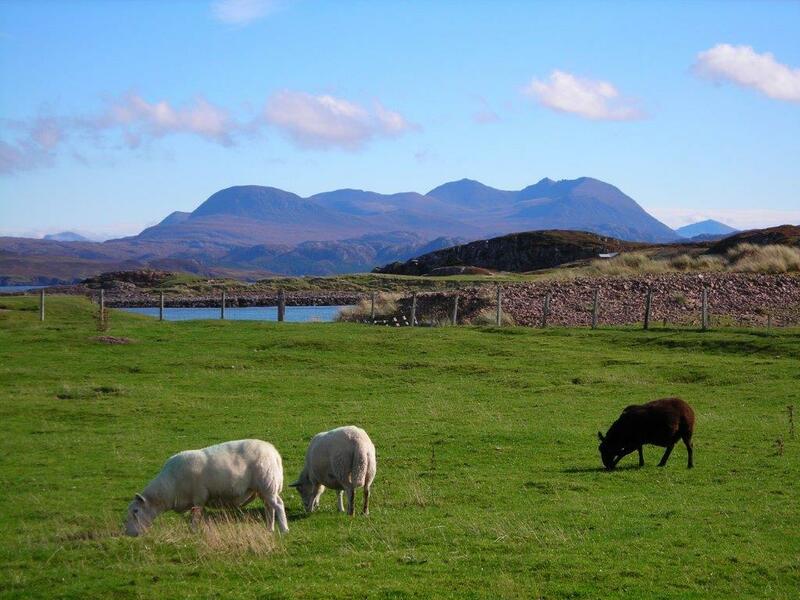 Successive reforms to crofting and tenancy law have been ineffectual and the commitment made by Richard Lochhead last week to survey Small Landholding tenants and seek their views is most welcome. 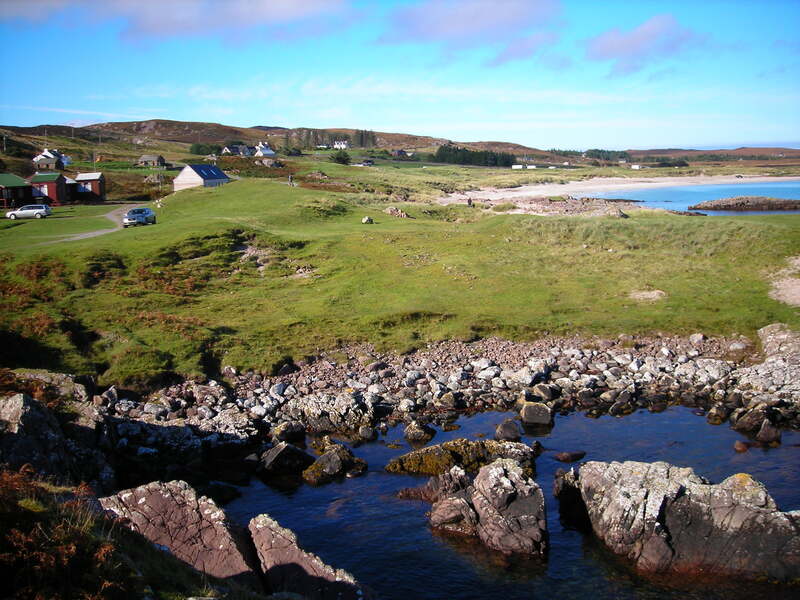 “Although small landholdings were once common throughout Scotland and government statistics show that there may be up to 100 of these holdings still in existence, it is not known for sure many there are and where they are, apart from those on the Island of Arran. These tenants find themselves in a unique and unenviable situation – although they share similar rights of security with crofters and 1991 tenants, they have few of the benefits. They have had to provide the entire infrastructure of their farms; housing, buildings fencing and drainage but they have neither the rights of purchase of the crofter nor even the pre-emptive rights of the agricultural tenant. Moreover, they have limited assignation rights and little in the way of end of tenancy compensation. “The Crofting Reform Act tried to give small landholders in the designated crofting areas the right to convert to crofts, but the legislation has proved to be too cumbersome and complex to operate and, as yet no small landholdings have been converted to crofts. The Small Landholding tenants are now looking for a simpler and more practicable route to give them the same rights as other tenant farmers and crofters. STFA understands the government will be issuing survey forms to all known small landholding tenants in the next few weeks. Anyone in that situation who does not receive a form should contact get in touch with the government directly. The Scottish Tenant Farmers Association has welcomed the AHLRG report, published today, as a turning point in the long running debate over tenancy reform. The report makes 49 recommendations aiming to strengthen the rights of existing tenants, encourage landlords to rent out land, create opportunities for new entrants and rectify some legislative anomalies. The review group’s final report is the culmination of more than a decade of lobbying by STFA and a year long in-depth examination of tenancies in Scotland by the tenancy review group led by Cabinet Secretary Richard Lochhead. “The tenanted sector has suffered badly over the last few decades with declining relationships between landlord and tenant which have resulted in some high profile disputes and many low profile areas of dissatisfaction. The creation of a Tenant Farming Commissioner with powers to establish and regulate codes of practice is a welcome initiative and its statutory basis will be key to the success of many of the Review Group’s proposals. “Numbers of secure tenants and the area of land under secure tenure has been declining rapidly over the last few years and the proposal to widen succession and family assignation rights will ensure that family tenancies are not lost to succeeding generations. The continuation of family succession is very much in the public interest and will be seen as a very positive step forward for the 80% of tenant farmers who hold secure tenancies and do not currently have direct heirs to inherit the family farm. “However, many tenants will be disappointed that the report has chosen to propose powers to force the sale of a tenanted farm to escape the clutches of bad landlords rather than introduce a more general right to buy. Although this proposal deals with the problem of bad landlords it does not address the difficulties faced by tenant farming businesses whose progress is inhibited by their tenancy. There is no doubt that on becoming owner occupiers, tenanted businesses invariably grow and prosper. We consider that the Group has made a grave error in not taking this into account in its research. “Similarly, STFA is disappointed that, having spent last summer examining the merits of assigning 1991 tenancy for value the Group has elected instead to opt for the less valuable proposal to allow conversion of a 1991 tenancy to a long term LDT. However, this in itself, is a valuable step forward and will encourage some tenants without successors to realise value from the tenancy by transferring it on the open market. “STFA is embarking on a series of member meeting over the next few weeks to explain the implications of the AHLRG report and to gauge tenant farmers reaction to the report. Today’s announcement marks the opening of a new chapter in the story of tenant farming in Scotland and during the next few months we look forward to fine tuning the detail as the recommendations move through the legislative process. It is imperative that the 49 recommendations in the report are treated as a package and not as a “pick and mix” and are dealt with as soon as possible as part of the Land Reform legislation. The Scottish Tenant Farmers Association will be taking to the road next week embarking on a round of meetings to discuss tenancy and land reform proposals with its tenant farming members. Top of the agenda will be the long awaited report of the Agricultural Holdings Legislation Review Group which is expected to be released next week. Speaking ahead of the meetings STFA chairman Christopher Nicholson said; “The publication of the AHLRG’s report heralds the next phase in the long journey to reform the tenanted sector. STFA will be using these meetings to outline the Group’s proposals for reform to members and listen to their views before making detailed comment on the many recommendations for change. “Although the Cabinet Secretary has said that the report will be radical and far reaching it will inevitably disappoint some and satisfy others. However, the industry has spent more than a decade agonising over tenancy law and endlessly discussing the same issues that dominated the debate in 2003. Our current tenancy legislation is not delivering and it is now time to use the AHLRG recommendations as a stimulus for much needed change. “We expect the report to reflect the ideas contained in the AHLRG’s Interim Report. In particular we would like to see recommendations that will provide for fairer and simpler rent reviews, removal of the uncertainty linked to tenants improvements, the establishment of full and proper waygo compensation for tenant’s improvements and the tenant’s interest in his lease, the widening of family succession, and improving the levels of investment on tenanted holdings. We also look forward to the creation of a tenancy commission or ombudsman to oversee, regulate and see fair play in the sector. However, we have some concern that fears about non-compliance with the European Convention of Human Rights (ECHR) may prevent the recommendation of some enabling measures that have been up for discussion in the past year. “STFA will be using the meetings to discuss the Scottish Government’s proposals for land reform. The consultation on the “Future of Land Reform in Scotland” closes on 10th February and STFA will be seeking views from members as well as urging them to respond individually. “We will also be lobbying the government to ensure that it continues with the proposal to include changes to agricultural holdings law in the Land Reform Bill. We are concerned that there is a high probability that a stand-alone agricultural holdings bill would be postponed to the next parliamentary session due to the pressure on the parliamentary timetable. Such a delay is not an option for the tenanted sector. The Scottish Tenant Farmers Association is urging tenant farmers to respond to the government consultation on Land Reform before the deadline on 10th February. The First Minister Nicola Sturgeon announced the consultation on the future of Land Reform as part of her programme for government last November. The consultation, which is being led by Environment Minister Aileen Mcleod, is seeking views on a radical programme of land reform creating a fairer and more equitable distribution of land in Scotland, delivering greater public benefits through a democratically accountable and a transparent system of land rights which will promote fairness and social justice, environmental sustainability and economic prosperity. STFA Chairman Christopher Nicholson said; “This consultation is picking up the threads of the land reform process that was started over a decade ago and it is important the government hears the views from as many people as possible. This is especially important for tenant farmers who will shortly be debating on the report from the Agricultural Holdings Legislation Review Group. “Tenancy reform is an integral part of land reform and we welcome the government’s decision to bring forward legislative reforms to the tenanted sector as part of a land reform bill. After all the highly regulated and complex tenancy system in Scotland is a direct consequence of the land tenure structure and its future should be considered as part of the wider land reform agenda. Moreover there will inevitably be significant overlaps between the recommendations of the AHLRG report and the proposals for land reform. For example, the proposal on the table to give ministers power to intervene “where the scale of landownership or the conduct of a landlord is acting as a barrier to sustainable development” is very similar to the proposal being floated in the AHLRG’s interim report to introduce procedures to enable a tenant to acquire the holding if the landlord was found to be in persistent breach of his contractual obligations. “On a practical note, the government’s packed legislative programme leaves a limited amount of time available in this parliamentary session for extra bills and there is a real fear that if legislative time is restricted, an agricultural holdings bill may get shelved until the next parliamentary session. It may suit landlords to postpone impending changes but it will be devastating for a tenanted sector desperate for reform as soon as practicably possible. “STFA will be consulting with its members over the next few weeks, but I would urge all tenant farmers to make their voices heard, either through representative organisations or individually, so we can all play our part in influencing land reform in Scotland and help create a fairer and more equitable society for all. The Scottish Tenant Farmers Association has welcomed today’s publication of the Scottish Government’s consultation on the future of land reform Bill in Scotland. Confirmation that legislation, stemming from the review of agricultural holdings, will be included in a Land Reform Bill to be brought before parliament before the end of the parliamentary session is also excellent news. 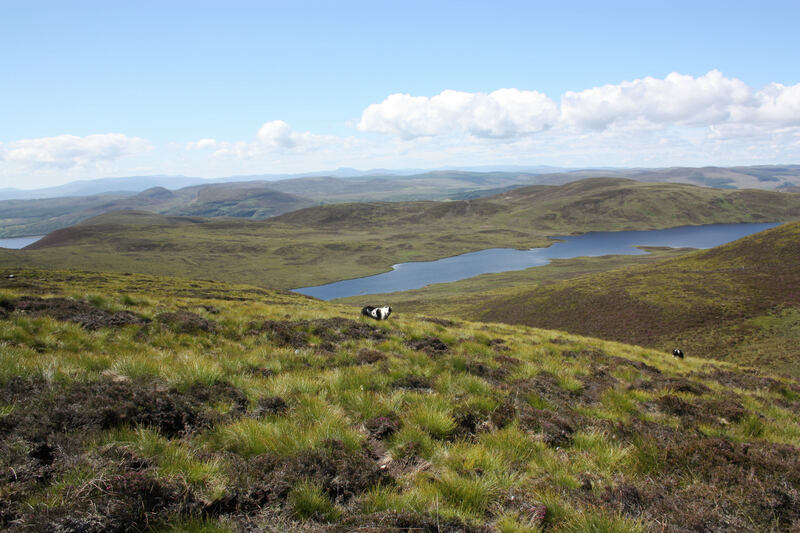 The Scottish Government have announced a wide range of land reform proposals leading towards a more democratically accountable and transparent system of land rights promoting “fairness and social justice, environmental sustainability and economic prosperity”. Commenting on the news STFA chairman Christopher Nicholson said; “The Scottish Government has given a clear signal that it is taking the unfinished business of land reform seriously with tenancy reform to be included in a Land Reform Bill. The let land sector in Scotland is regulated and complex as a direct consequence of Scotland’s tenure structure where over 50% of the land is owned by just over 430 individual and this cannot be healthy. The sector is largely dominated by relatively few large estates controlled by a small band of land agents and factors and let land is scarce. The relationship between rent and the productivity of land has now reached unsustainable levels which must be urgently addressed. “Tenancy reform must be considered as part of the broader land reform agenda for a more inclusive society and to increase opportunity in the wider rural economy. Scotland’s land and people need a better deal and land reform will unlock underutilised assets for better use by more of the population. Therefore Cabinet Secretary Richard Lochhead’s recent statement that the government will be tackling proposals on land reform and agricultural tenancies in a joined up way is very warmly welcomed. “We welcome the intention to give ministers the power to intervene where the scale of land ownership or the conduct of a landowner acts against the interests of sustainable development. 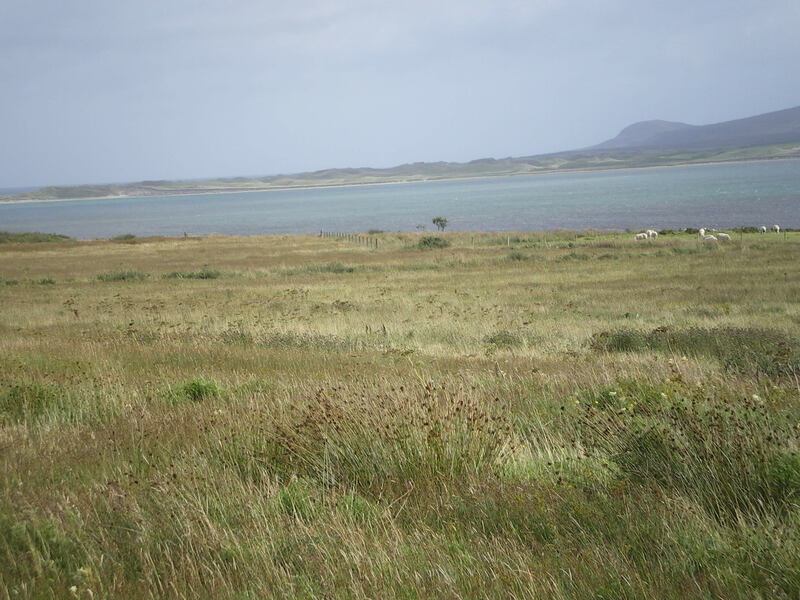 There are Scottish islands and other areas where monopolistic landownership is clearly holding back farming businesses and rural economies and depopulating local communities. The power of intervention could be managed fairly by either a Land Reform or Tenancy Commission and STFA has made this recommendation to the tenancy review group. 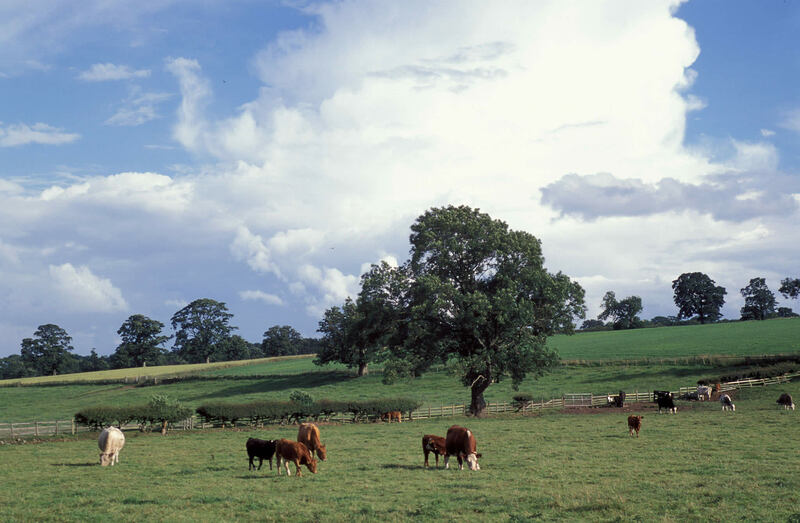 The Scottish Tenant Farmers Association has written to Forestry Commission Scotland to urge it not to plant trees on what was once intensive agricultural land. STFA is responding to a consultation being carried out by FCS in Aberdeenshire on tree planting plans on farms purchased by the Commission before the Woodland Expansion Advisory Group (WEAG) curtailed what had been an unbridled acquisition policy buying agricultural land for forestry. Commenting on the Commission proposals STFA director Angus McCall said; “As a member of the WEAG, we continue to support the recommendations of the group, including the requirement to consult with stakeholder groups and the local community and the recommendations calling on those considering planting whole farms to keep better grades of land in agricultural use. “The Forestry Commission has led the field in creating starter units for new entrants to farming and has recently had a good track record in responding to concerns raised by tree planting plans. The consultation on Corniehaugh Farm, for example, seems to have taken account of the wishes on the local community and we hope that these farms will be treated in a similar manner. 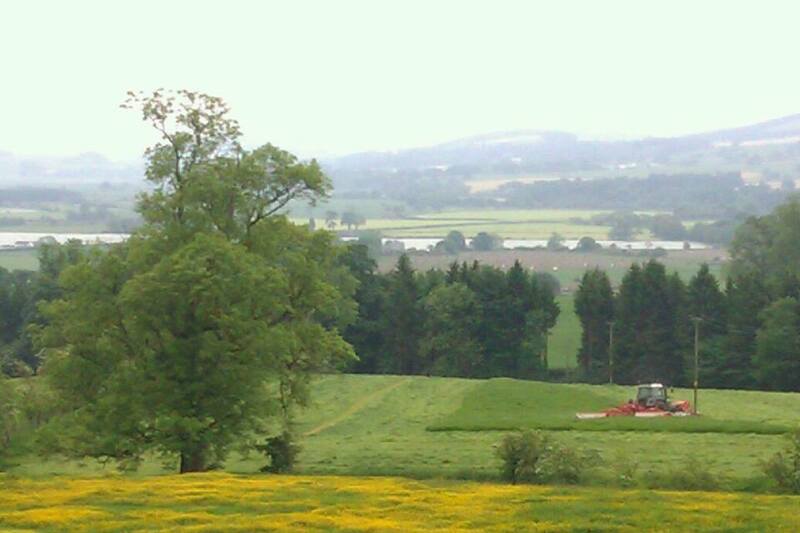 “Much of this farmland being considered for woodland creation is productive land. 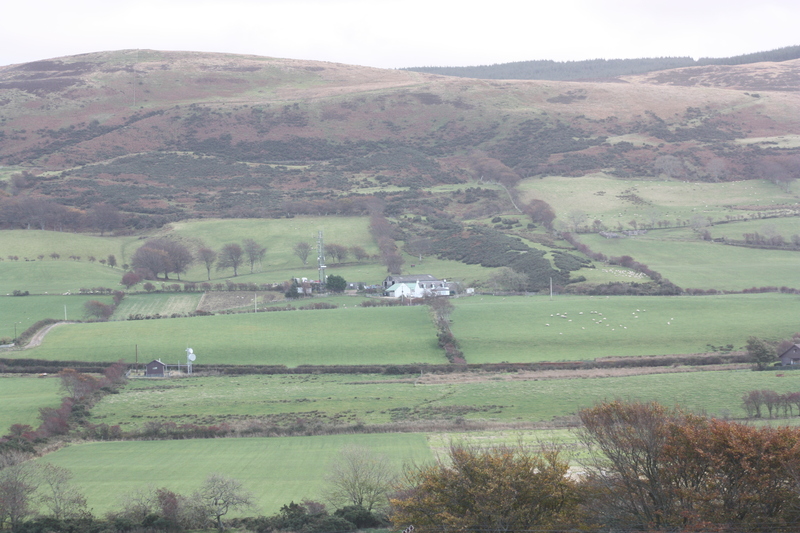 The arable land at Culdrain, for example, is described by the Forestry Commission themselves as “being mostly intensive agricultural land”, planting with trees would be totally inappropriate. 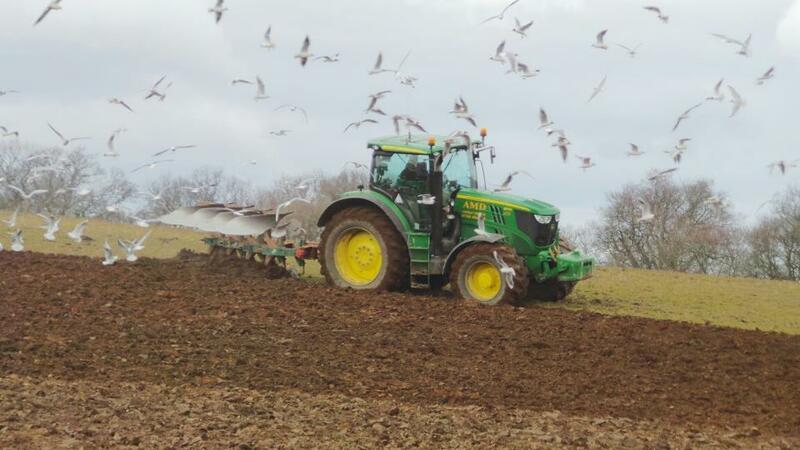 The land has been recently cropped and the farm would provide an ideal starter unit for a new entrant. Similarly some of the land at Upper Tullochbeg is good grassland and really should be added to the existing starter farm to increase its viability. We have also suggested that the better land on the remaining farms be retained in agriculture. 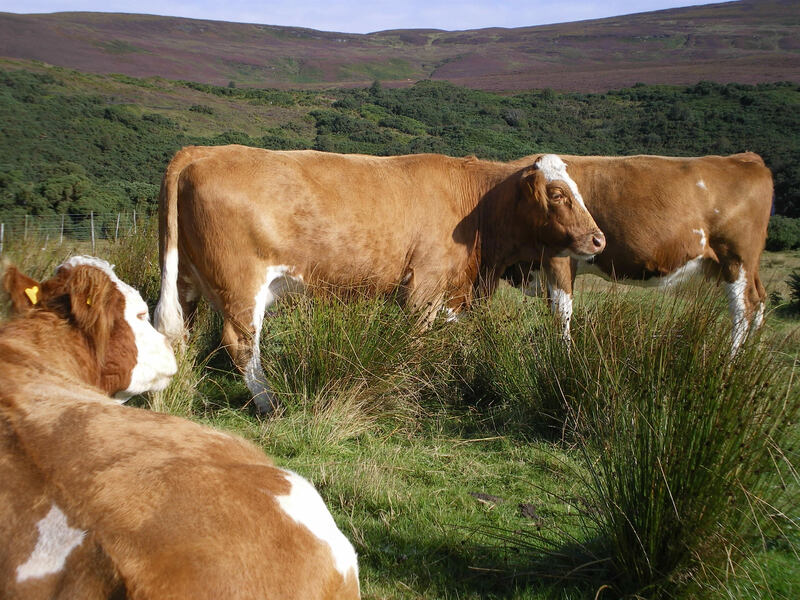 (b) Upper Tullochbeg and Ittingstone, near Huntly – 80.6ha arable, 33.8ha permanent pasture and 100.1ha rough grazing. Buildings plus 44.7ha have been already leased out as a starter farm. The Scottish Tenant Farmers Association is concerned at the lack of progress in settling some long running rental disputes in the Land Court despite the consensus amongst industry bodies that rents should be kept at sensible levels pending legislative change. Although the recent rent initiative does not apply to cases sisted (put on hold) to the Land Court, it was hoped that the spirit of agreement would influence rent disputes already in the Court process. Commenting on the situation STFA spokesman Angus McCall said: “With the November term date imminent it would seem that the recent industry rent initiative has encouraged most rent reviews to be settled at sensible levels. However we are aware of a handful which have been left to the last minute and may be referred to the Land Court to keep negotiations open. We hope this practice will be outlawed in the forthcoming review to stop the Land Court being used as a way of increasing the pressure on tenants. Rents should only be referred to the Land Court, or preferably some form of arbitration or expert determination, if there is a genuine dispute over the level of rent being demanded. “One of our main areas of concern relates to the number of unresolved rent review cases still lying unresolved in the Land Court, there are more than a dozen, some since 2008. This places an intolerable strain on the families affected who have spent years facing the uncertainty of an ongoing rental dispute with the bleak prospect of a Land Court hearing sometime in the future. It is unbelievable that rent disputes are allowed to continue for such a long period of time and it is doubly disappointing that the current consensus over sensible rent settlements has not done anything to bring them to a conclusion. The Scottish Tenant Farmers Association has called on the Scottish Government to tighten criteria for activity rules in the new CAP regime to ensure that only genuinely active farmers receive entitlement to basic payments. Implementation rules are still to be finalised and STFA considers that there needs to be much more rigorous definition of active farmers and what constitutes agricultural activity. STFA is also concerned that the Government may not be implementing 2013 as the reference year for claiming entitlements – a measure designed to limit the damage being done to the tenanted sector by landlords bringing tenancies to an end to take advantage of the new CAP rules. Commenting on the latest CAP developments STFA chairman Christopher Nicholson said: “In announcing the CAP agreement in June the Cabinet secretary promised to “make every effort to target every public pound at genuine activity – to target those who wear dirty wellies not comfy slippers”. As the rules stand this is not going to happen. There is nothing to prevent a landowner from renting his land out on a seasonal arrangement while being classified as an active farmer picking up receiving support payments and also being able to receive tax benefits available to working farmers. “We would like to see the activity rules strengthened to include proof that the active farmer’s main income is from agriculture, that he is in occupation of the land, that he is taking the entrepreneurial risk of the farming activities on the holding, and that he is in control of the day to day management of the holding. We can see no justification for anyone to be in receipt of SFP unless they are actually engaged in farming activity on that land. This concern relates equally to contract farming arrangements where the “farmer” frequently shares very little risk with the contractor. “There would appear to be very little joined up thinking between CAP reform and tenancy reform. At a time when the government is seeking to revitalise and expand the tenanted sector and create more opportunities for new entrants the CAP regime is in danger of achieving the opposite by discouraging land to be let and of encouraging a new breed of armchair farmers who will be able to sit back and receive support payments for very little effort. The Scottish Government has now completed its research into the tenanted sector with the publication of a survey of owner occupiers’ views on tenant farming. This follows an extensive series of studies carried out over the last few months. The latest study elicited 337 responses representing a 12% response rate compared to landlords 35% and tenants 53%. The area of land owned by the sample of respondents has hardly changed since 2000 and is made up of medium sized farms of about 350acs. More than half of respondents were over the age of 60. This survey clearly only represents the views of a small number of owner occupier farmers and may not be representative of the whole. Commenting on the results of the survey STFA chairmen Christopher Nicholson said; “The majority of farmland in Scotland is owner occupied and it is surprising that there was such a low response rate to this survey, but although this survey is limited in statistical significance it has produced some interesting results. “Contrary to the expectations of many landlords there would seem to be considerable support for granting tenants the absolute right to buy, probably because owner-occupiers appreciate the value of owning their own farms. More than half of those taking part in the survey (56%) thought that all or certain categories of 1991 tenants should be granted an absolute right to buy their farms. “87% of the sample of owner occupiers had taken ownership of their farm since 1945, and it is likely that majority of these family businesses were originally tenants who have had the opportunity to buy their holdings. It comes as no surprise to us that these former tenants recognize the value of ownership in terms of enabling their businesses to borrow, invest and grow. Indeed there are examples of owned and tenanted land up and down the country which show the contrast and different levels of investment between tenanted and owned farms. As well as agreeing with ARTB for tenants the majority of owner occupiers sampled also recognized the importance tenants’ being able to pass on a viable business to a family member. Succession provisions are a significant hurdle for tenants and it is only commonsense that the AHLRG are working on proposals to allow wider family succession for tenants, but they must not lose sight of the importance of opening assignation opportunities to allow a wider group of aspiring tenants access to secure tenure.